Arranging furniture is an art– no, seriously, it’s one of the most important parts about interior design. That’s not to say that it’s best left to the pros, though. Everyone can design their own perfect space with just a little bit of thought and a lot of experimentation. In fact, figuring out how to set up your new place is a really fun part of moving into an apartment. Before you start deciding where to put what, think about the furniture you’re using and try to use only the pieces that are necessary for the room to function. This is especially important in small apartments when there isn’t a lot of extra space– using fewer pieces will make the room look and feel a lot more spacious. If your room is extra tiny, use taller dressers and shelves to get more storage while taking up less room. Another quick tip before you get started: Don’t buy new furniture until you’ve arranged the pieces you already have. That way you’ll know the exact furniture you need, along with the dimensions and style you’re looking for. It’s a good idea to experiment with different arrangements on paper before you start pushing furniture around the room. That way you can eliminate some options that won’t work without potentially scratching your floor or walls while moving your dresser for the zillionth time (believe me, it happens). Measure at least your biggest items (bed, dresser, shelves, etc. 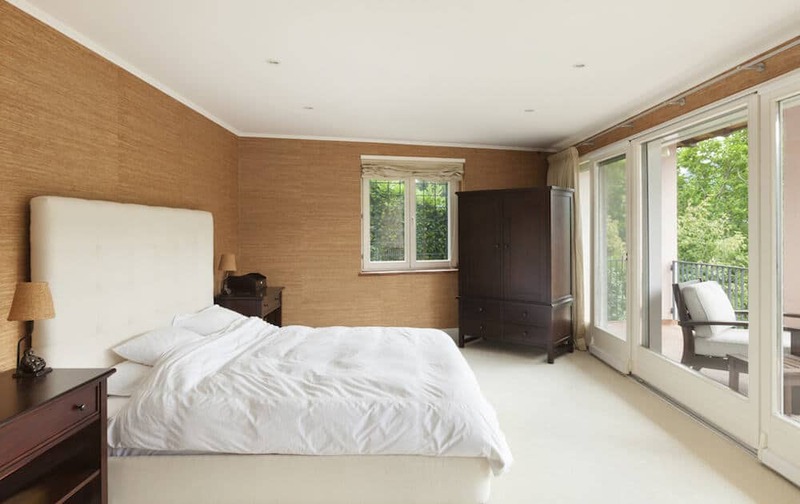 ), as well as the dimensions of your room, then sketch out a couple of different options. If you’re not much of an artist, check out an app that can do the job for you. Try Home Design 3D (iOS) or Floor Plan Creator (Android). 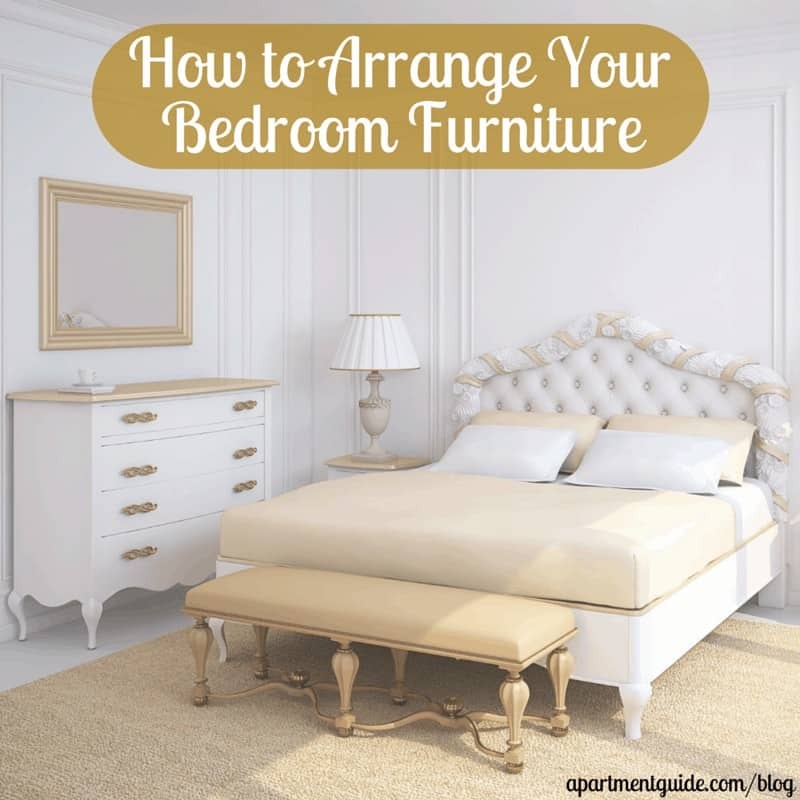 While figuring out how to arrange furniture in your new bedroom, think about your lifestyle. This could really affect where your furniture ends up. For instance, if you tend to watch a lot of TV in bed, you’ll want to find a layout that works well for that. Also, plan your walkways. If your bed is blocking your path from the dresser to the mirror, you may find yourself a little annoyed down the road. Once you’re ready to put the pencil and paper (or app) down, and start actually arranging, begin with your bed. Traditionally, beds are placed on the wall opposite the door or the largest one with no windows. In a small bedroom, you may have to break these guidelines, though. Find a spot for your bed that makes the most sense to you, just make sure you can open and close your bedroom and closet doors. 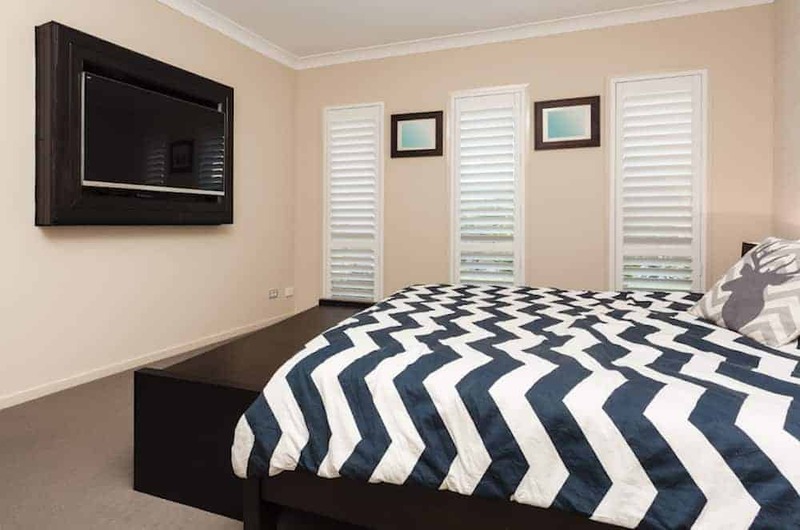 Also, while placing your bed under windows is totally OK from a design perspective, you may find yourself feeling uncomfortable drafts over the winter. When you’ve found the spot you think works best for your bed, arrange everything else starting with the biggest furniture item followed by smaller ones. Usually the dresser comes next, followed by bedside tables, a desk, shelves, chairs, and anything else you may have. Small-bedroom tip: If your closet is spacious, see if you can fit your dresser inside it. This will open up a lot of extra space (for activities!) in the room itself. Though it’s not a furniture item, your area rug placement will definitely depend on your room’s finalized layout. 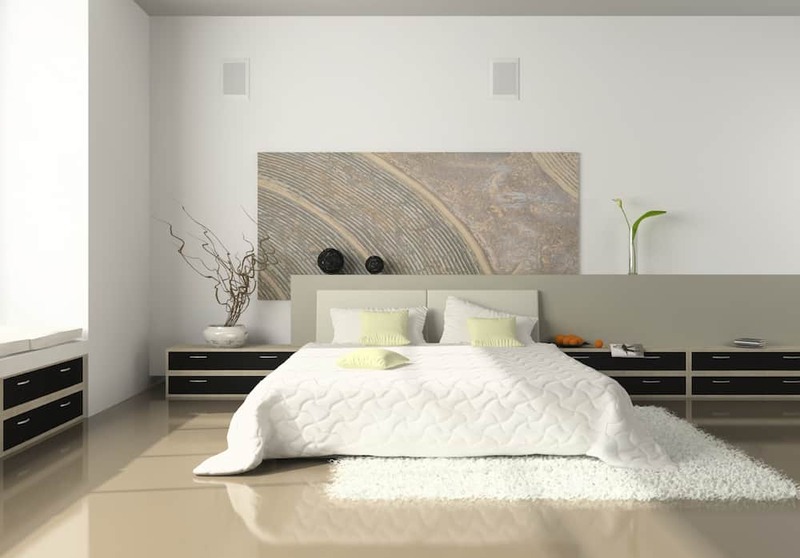 Area rugs are typically placed underneath the lower two-thirds of the bed so they create a cushy area to step on as you get out of bed in the morning. If your bed is tucked into a corner, your rug will likely have to be placed somewhere else, like next to the bed or in the center of the open part of your room. 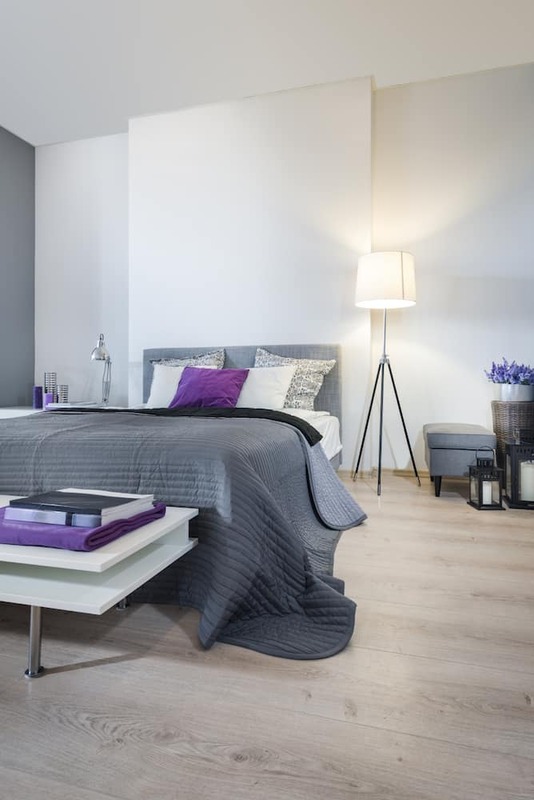 There are a lot of guidelines when it comes to how to arrange furniture, but there’s no wrong way to design your bedroom’s layout. 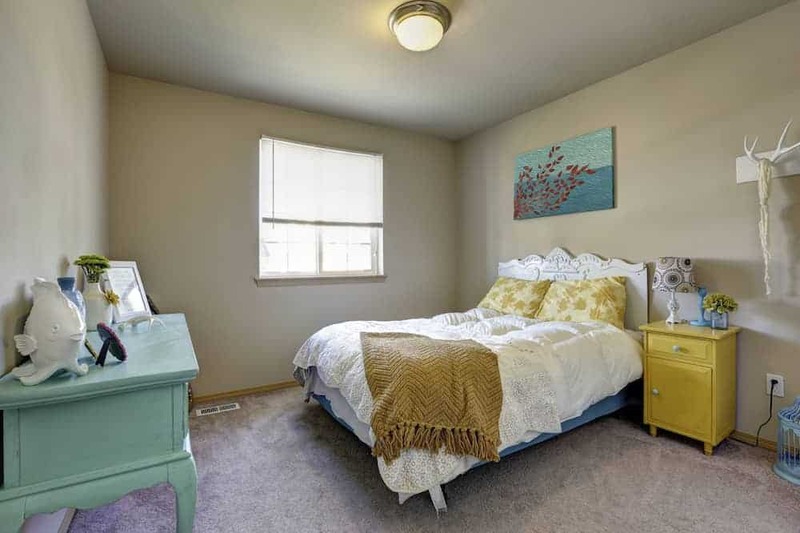 If your bed ends up being beneath the windows, or your dresser has to be directly next to it, that’s OK. Just figure out what works best for you and your space. If you want, try experimenting with different layouts during your first few weeks living in your new place. When you hit on one that works, you’ll know it.